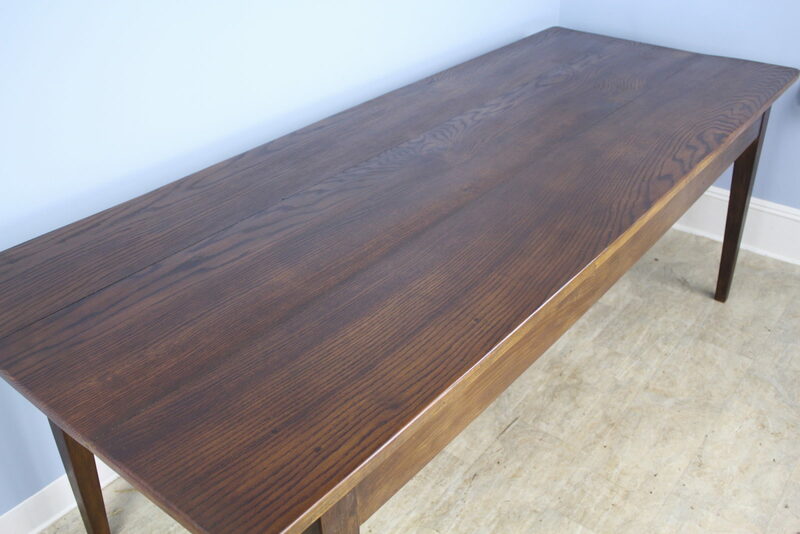 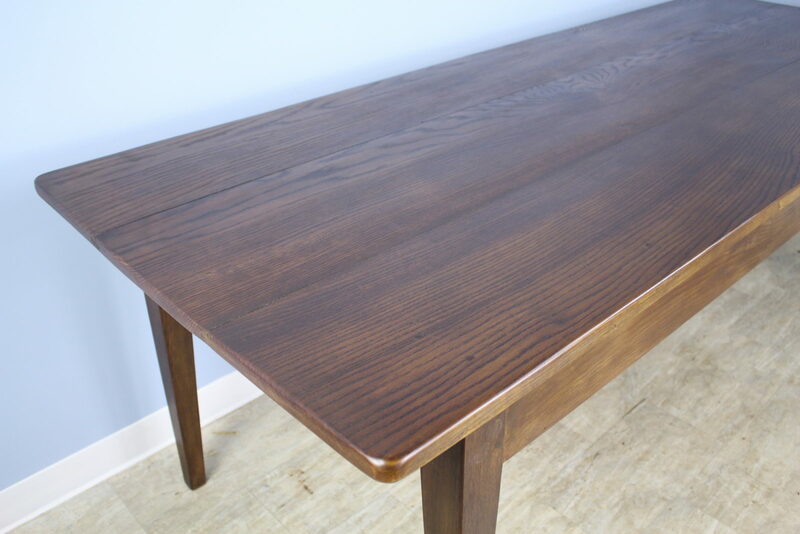 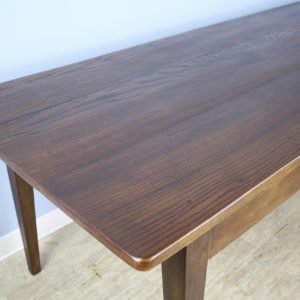 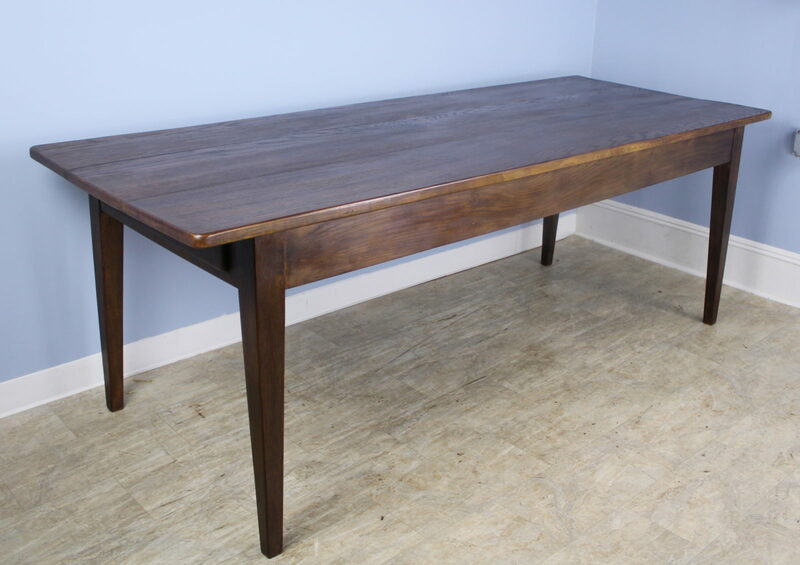 A generously proportioned chestnut farm table, custom made for Briggs House in France. 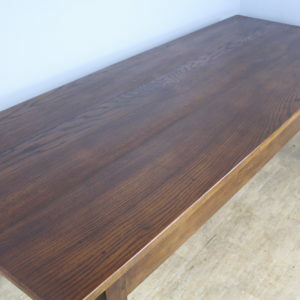 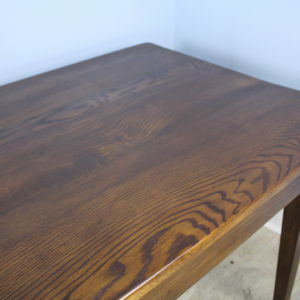 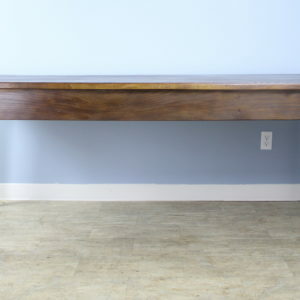 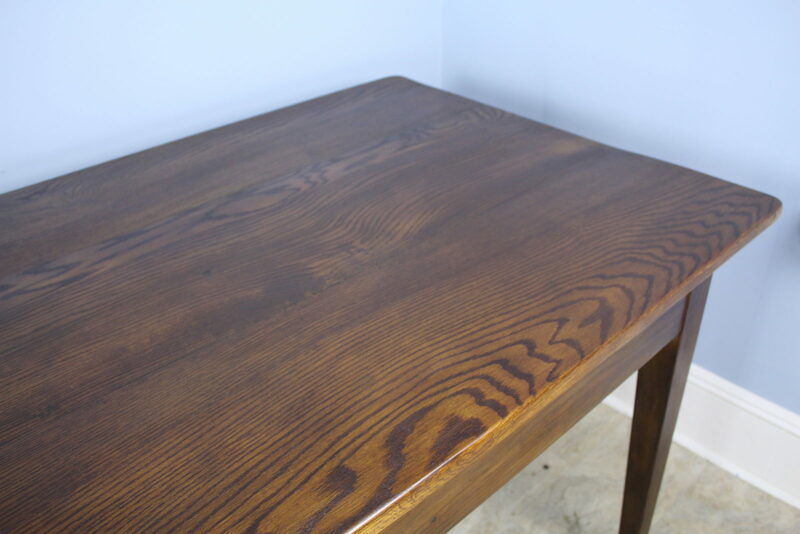 This long table is almost 35 inches deep, providing excellent space for dining. 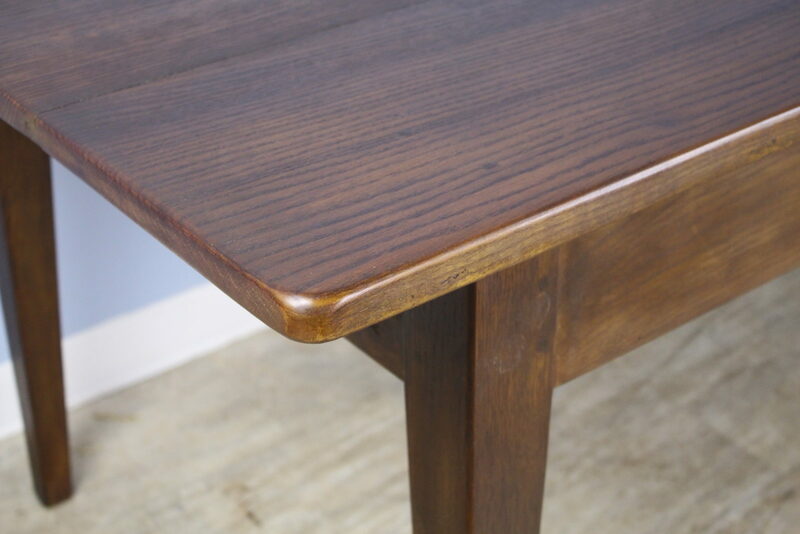 It is very good looking, with dark rich color and dramatic chestnut grain. 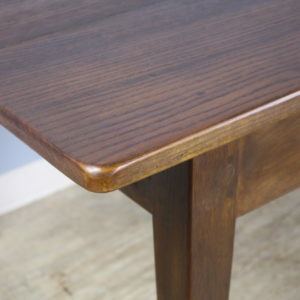 There is nice overhang at either end, as well as slightly rounded corners on the top. 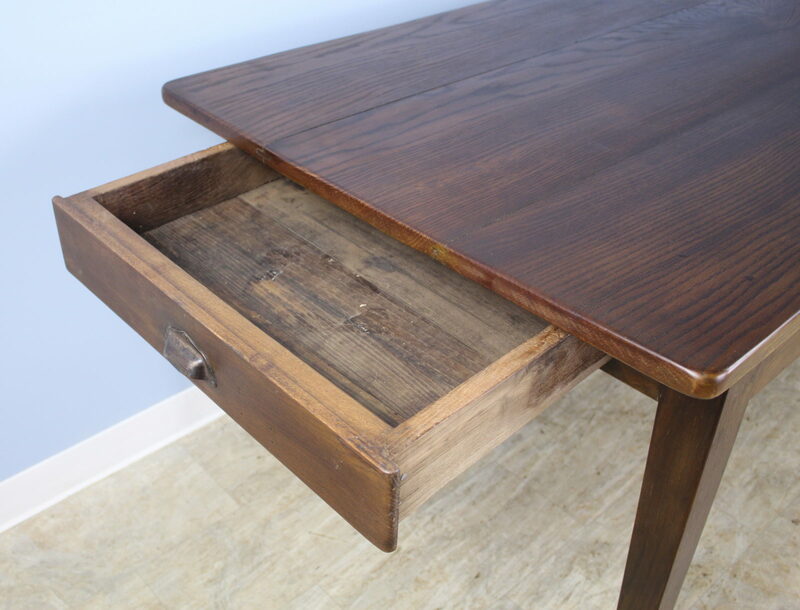 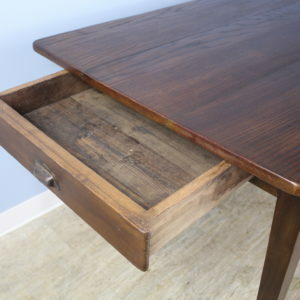 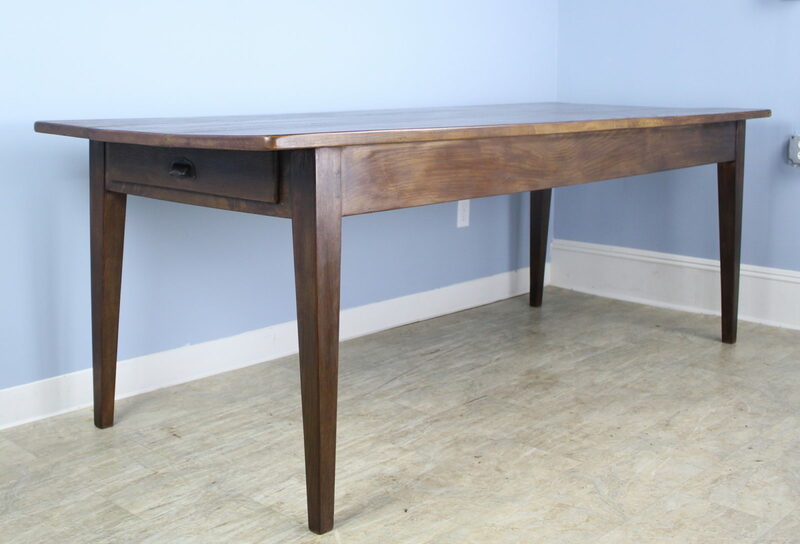 Strong tapered legs, and a single drawer at one end. 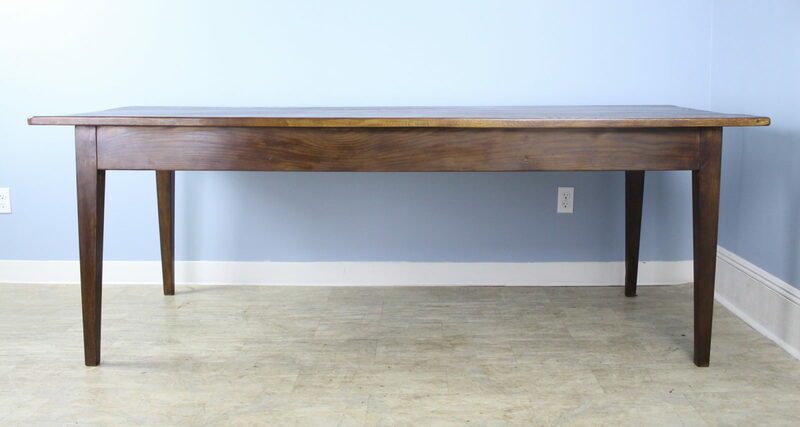 Apron height is a good 24.75″ for knees. 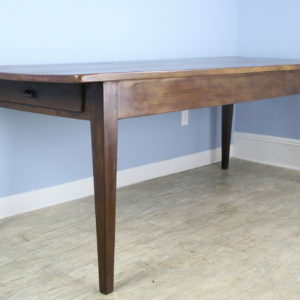 Distance between the legs is 75″.